When the Pilgrims arrived in the New World in 1620, among their most precious cargo was the Bible-specifically, the 1599 Geneva Bible. Today, all but forgotten, this version of the Bible was the most widely read and influential English Bible of the sixteenth and seventeenth centuries. A superb translation, it was the product of the best Protestant scholars of the day and became the Bible of choice for many of the greatest writers and thinkers of that time. Men such as William Shakespeare, John Bunyan, and John Milton used the 1599 Geneva Bible in their writings. William Bradford also cited the this Bible in his famous book Of Plymouth Plantation. This unique 2006 edition of the 1599 Geneva Bible is the original translation carefully restored for modern-day use. Plus it includes tables of interpretations of proper names, which are chiefly found in the Old Testament, and principle subjects contained in the Bible. Word-for-word accuracy with the 1599 edition using Tomson's revised New Testament (a later revision of Whitingham's New Testament of 1557) and Junius's annotated notes on Revelation. The prayers used by the English congregations every morning and evening. The 1599 Geneva Bible literally helped create the modern English language which is the preaching and political language of the world today. With much credit to William Tyndale's linguistic genius and the poetic mastery of Miles Coverdale with his earlier translation of the Poetic Books, the Geneva Bible became the central tool that sparked the literary excellence of the 17th and 18th Centuries in the English speaking world. The Geneva Bible was the Bible of William Shakespeare, John Milton, John Bunyan, the Puritans, who were considered history's greatest expositors, and the Pilgrims as they came to America. It was the Bible that John Rolfe would have likely used at Jamestown in 1611. The importance of the 1599 Geneva Bible cannot be underestimated. It was the Calvinist notes of the Geneva Bible that infuriated King James I to the point of authorizing a group of Puritan scholars to produce a non-annotated version of the Bible for him. The excellent Authorized Version probably would not exist today had it not been for King James's anger toward the Geneva Bible. 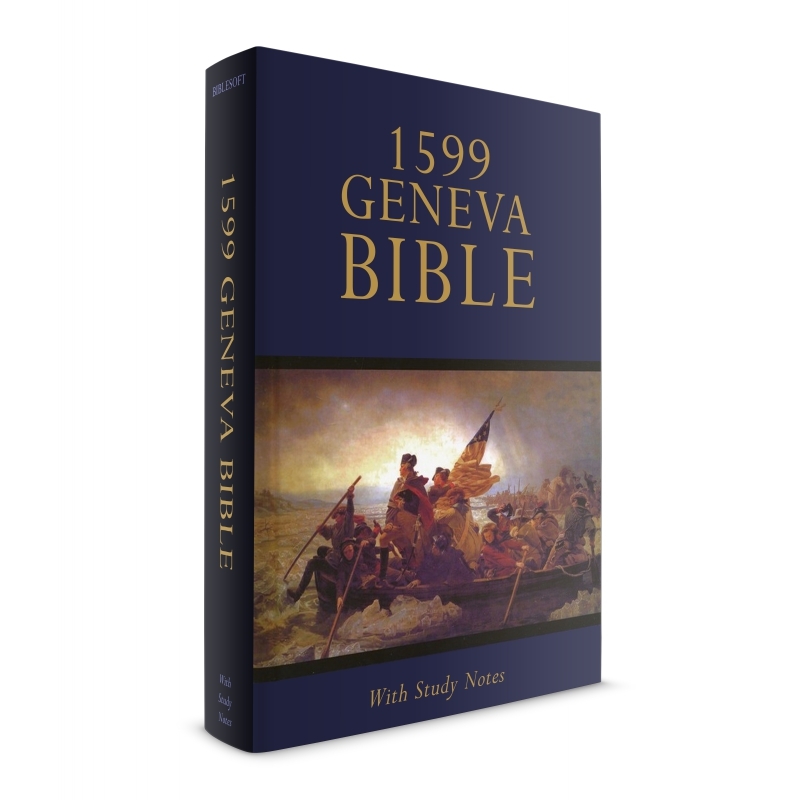 Don't wait to add this unique 2006 edition of the 1599 version of the Geneva Bible to your PC Study Bible library.